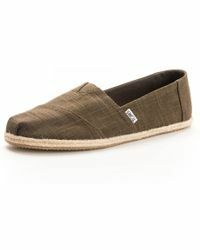 TOMS Alpargata shoes are about to become your go-to piece for casual days under the sun. 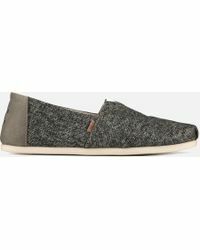 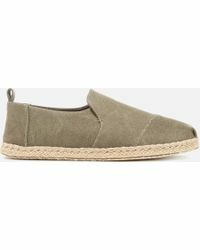 Crafted with a lightweight canvas upper, flexible rubber sole and the label’s signature logo tab, these slip-ons are perfect for pairing with cuffed jeans, chinos and shorts – whether you’re on holiday or in the city. 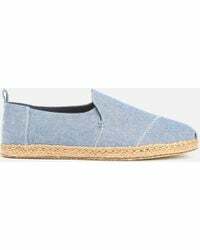 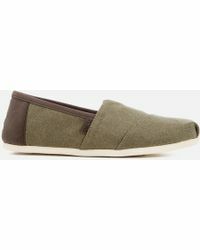 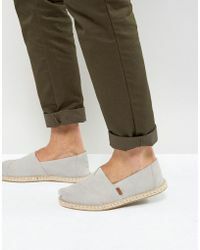 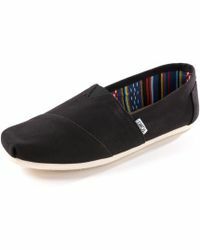 Also available in luxe leather and suede, TOMS Alpargatas are a warm-weather essential.